Workplace safety should be a priority for all employers. However, there are employers who do not closely follow standard safety regulations, putting their employees at risk for injury. Employers have the responsibility to ensure that their workplace and its surroundings are safe and hazard-free. However, there are employers who do not adhere to the OSHA safety regulations. There are thousands of electricians working every day on various electrical systems – repairing or replacing old wiring, installing new wiring, and replacing other electrical transmission equipment. Most of these jobs are completed without incident; however, approximately 9% of electrical jobs result in some injury to the worker. OSHA lists electrical injuries among the ‘fatal four’ construction injuries. 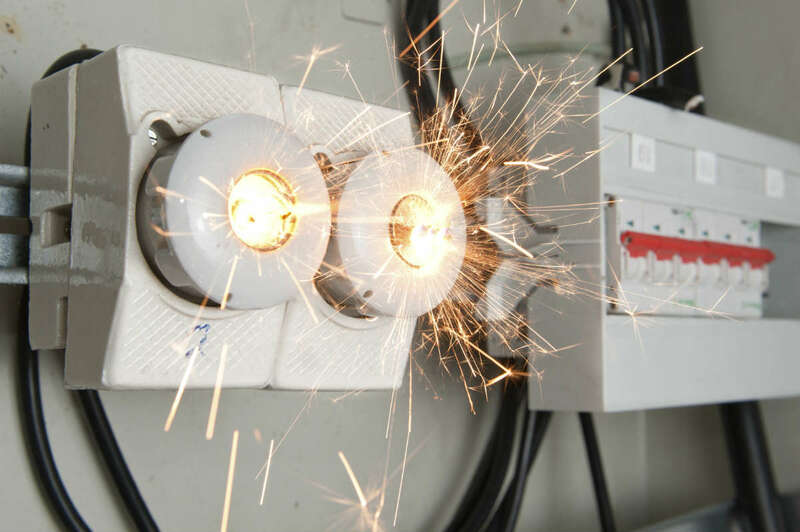 The yearly inspection of workplaces has found that the non-compliance of electrical safety regulations is the most common problem resulting in electrical accidents. Who Is at Risk for Work-Related Electrical Injuries? Many employers and employees believe that electricians who work on electrical power lines, tree trimmers, landscapers, welders, construction site workers, and people working below overhead power lines are the most susceptible to electrical accidents. However, any worker working with electrical machinery is at risk for injury if safety regulations are not followed. For example, machines kept in damp locations and loose or damaged power cords are violations of safety regulations. When a job requires a worker to repair electrical equipment, it is the employer’s duty to ensure that the power to the equipment is disconnected. There have been scenarios when an employee has turned on power to the equipment that another employee has been working on, thus causing an injury, even fatal at times. This can be avoided if the employer puts on a ‘do not switch on’ warning sign on the power switch of the equipment. Recently, a worker in a refrigeration factory in Bridgetown was electrocuted while working on electrical equipment when the power was switched on. The OSHA investigation revealed that the power was not switched off prior to starting work. The worker received a shock from the equipment which resulted in his death. This incident was completely avoidable had the basic safety standards been followed. The family of the worker who died has lost the sole earner for the family and will also have the expenses for a funeral and burial. The workers’ compensation insurance fund may provide death benefits to the spouse and other dependents of the victim of a fatal workplace accident. The compensation claims process can be difficult to navigate and it is always advisable to consult with an experienced Missouri workers’ compensation attorney so that the rightful compensation is received.